Algae play a vital role in the marine ecosystem. They provide food for all sorts of species. But in rare instances, they can also do harm. Harmful algal blooms occur when colonies of certain types of algae grow out of control. 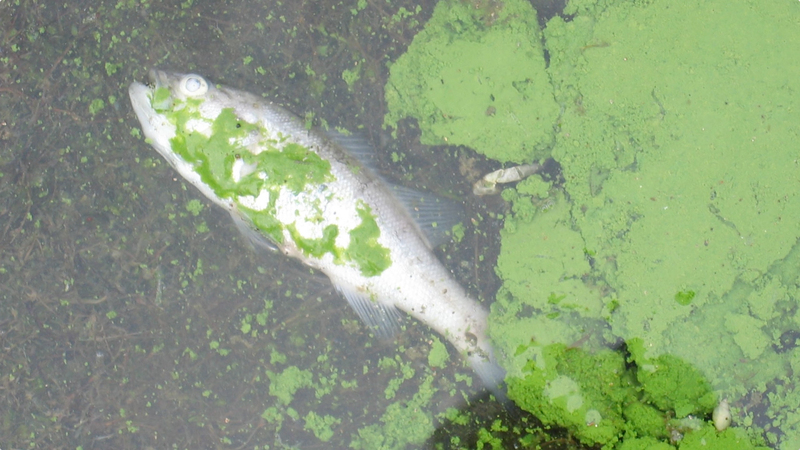 Certain types of algae produce toxins that enter the food chain through fish and shellfish. Eventually, the toxins can kill larger marine animals like sea lions, manatees, turtles, and dolphins. It also makes shellfish unsafe for human consumption. A bloom does not have to produce toxins to be harmful. Blooms can also deplete oxygen from the water, block light to organisms lower in the water, or even clog or harm fish gills. The Integrated Ocean Observing System helps scientists to track and predict the spread of harmful algal blooms. Satellites above the earth, buoys on the surface, and sensors on the ocean floor are collecting data on ocean color and currents around the clock. If a harmful algal bloom is identified, scientists translate this data into predictions to estimate where it is traveling. Local health officials use these predictions to close beaches or shellfish beds to ensure public safety. Harmful algal blooms are estimated to have impacts of at least 82 million dollars a year to the U.S. economy. And with climate change potentially causing harmful algal blooms to occur more often, it's important that we learn as much as we can about how and why they form and travel so that we can reduce their harmful effects. Algae are simple plants that form the base of the food chain. Only 1% of algal species can produce toxins. Algal Blooms can turn the surface of the water red, brown, yellow, green or even white, but they are commonly called "Red Tides". NOAA maintains an operational HAB forecasting system to help US states and industry manage risks from harmful algal blooms. People who eat shellfish from waters experiencing toxic blooms can become very ill and can even die. Legally harvested seafood is rigorously monitored to be safe for human consumption.